Leading Manufacturer of rechargeable lights and led rechargeable light from Surat. 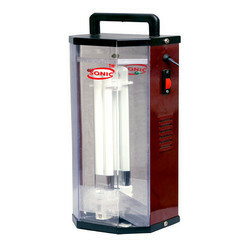 We are one of the recognized firms engaged in offering superior quality Rechargeable Lights. These lights are manufactured using advanced machines and high-grade material. We also offer these lights in different capacities and specifications to meet the diverse requirements of our clients. We are offering LED Rechargeable Light to our clients.